Run by Milledgeville’s CVB, this Insta account updates you on all things happening in The First Lady of Georgia. 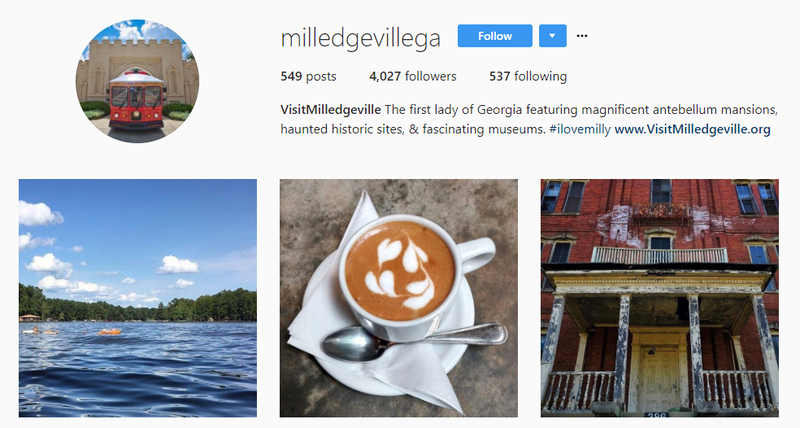 Whether it’s a photo of a gorgeous sunset on lake Sinclair or a snap of Blackbird’s awesome latte art, this account is full of gorgeous photos and original content, showing us all of the reasons why Milly is so lovable! The Green Market is a local, sustainable, producer-only market and locals love it. This farmers market is open every Saturday morning and there are so many goodies! The Market celebrates all things local and they sell the best of the best. 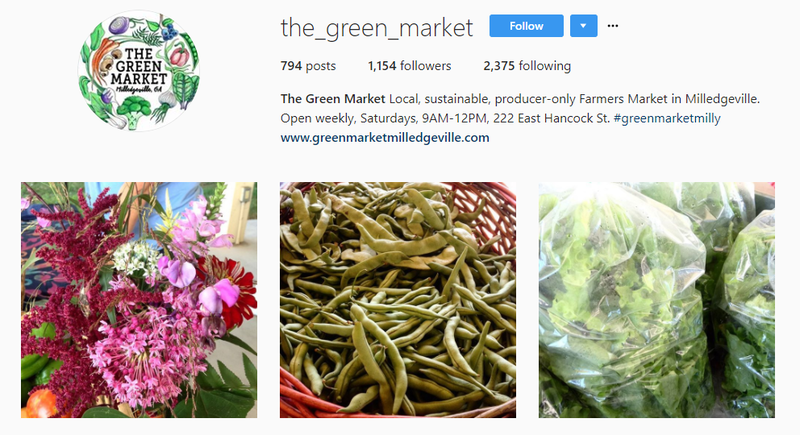 Follow them on Instagram to see tons of snaps that feature their colorful produce and yummy fresh-baked goods. The market is open every Saturday morning from 9:00 a.m.-12:00 p.m. at the Marketplace Pavilion on East Hancock Street. We are counting down the days until Deep Roots! 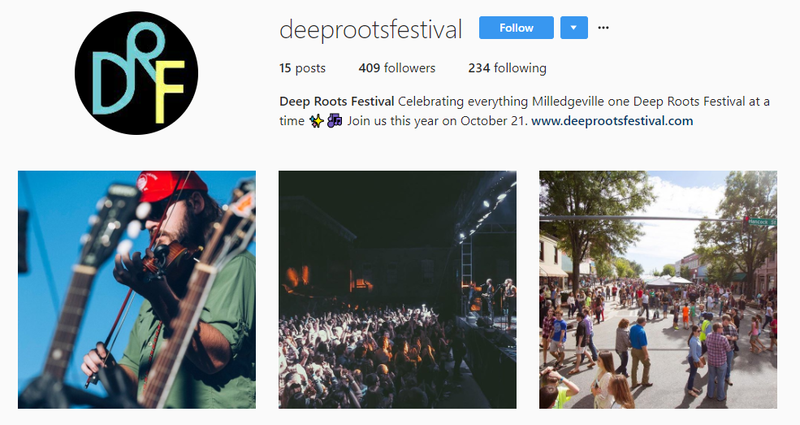 With this year’s festival being right around the corner, you can follow their Instagram page to keep up with all announcements. They even feature a few awesome photos of last year’s concerts that will get you pumped for this year’s shows. SweeTreats is one of Downtown Milly’s best local shops. 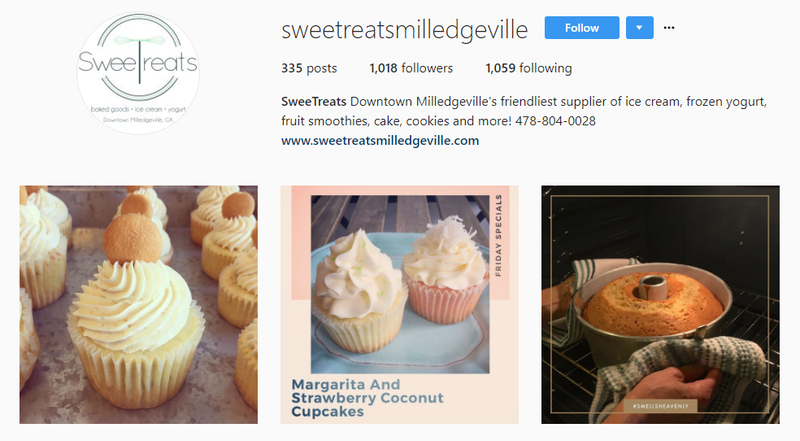 If you have a sweet tooth, follow them on Instagram to get updates on all their specials and new treats. They are constantly updating their page with new recipes that will have your mouth watering. Your feed will be full of sweet cookie creations and delicious treats. 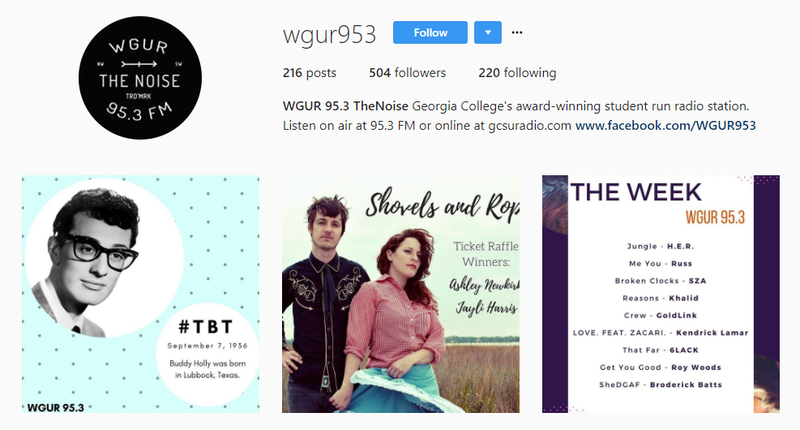 WGUR is Georgia College’s student run radio station and they have a killer Instagram page. The beauty of music is that it’s for everybody, so even though it’s through Georgia College, you can give it a listen from wherever you are. A “Playlist of the Week” is posted every week featuring dozens of awesome bands. 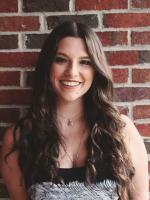 If you ever need to find something new to listen to, tune into 95.3 fm and rock out in your car or online at gcsuradio.com and give their Insta a follow for some seriously good music and seriously fun dj’s!